1st Westerfield Cubs and Beavers were among 250 youngsters attending the District Centenary Camp, Glemham Hall in May 2016, to celebrate 100 years of Cub Scouts & 30 years of Beavers. They also won the Best Camp Gateway Challenge! 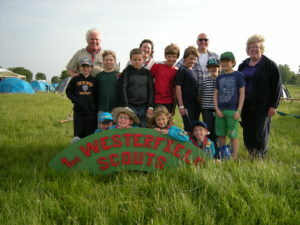 The Westerfield Scout Groups annual fete takes place on Sunday June 26th at the Paddock Westerfield (behind Village Hall). 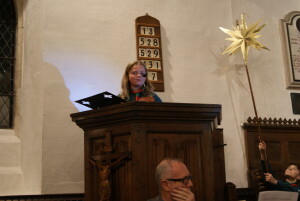 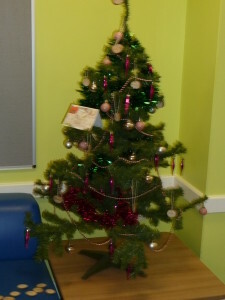 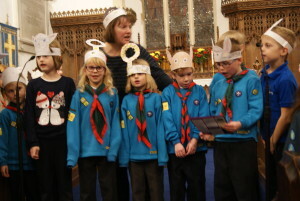 The Annual Carol service held in December. Westerfield Scout Group marked its 60th year in September and celebrated with a hog roast, barn dance and firework display at Henley Community Centre. 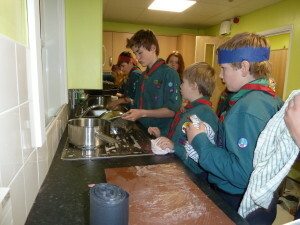 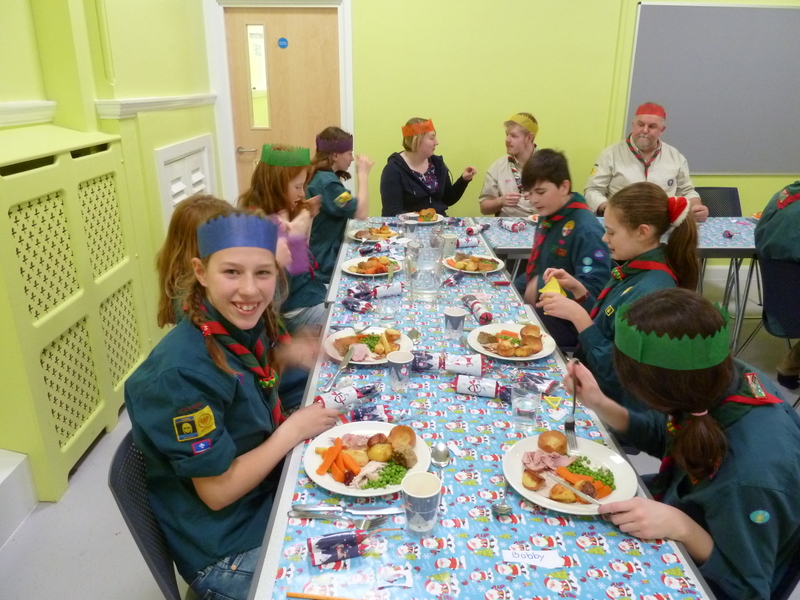 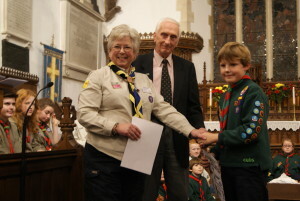 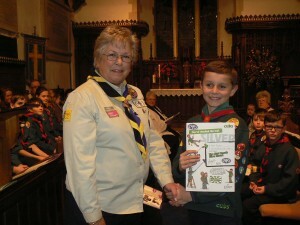 The event was attended by a mix of past and present members and the families of Beavers, Cubs and Scouts. 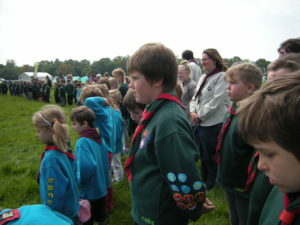 Tilly, a Young Leader with the Beaver Colony is in Japan as part of the Suffolk contingent at the World Jamboree. 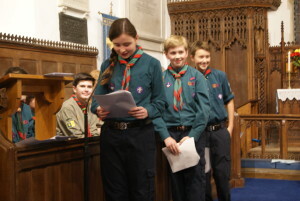 A team of eight scouts took part in the Orwell District Night Hike and not only did they win for the second year in a row but this time by a significant margin. 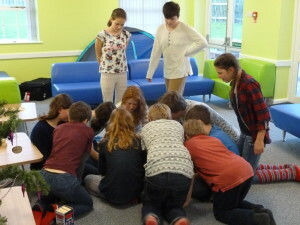 Well done to Meghan, Alice, Rhys, Libby, Alfie, Bobby, Hayden and Edward. 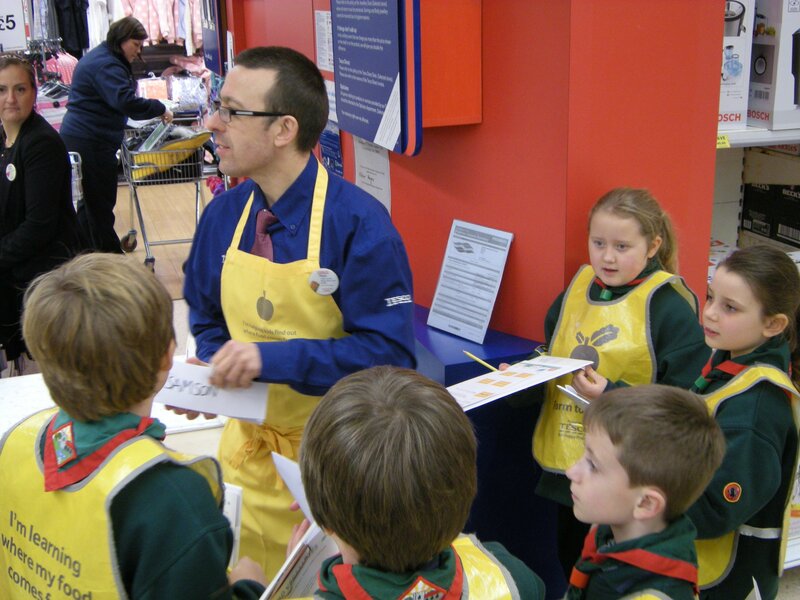 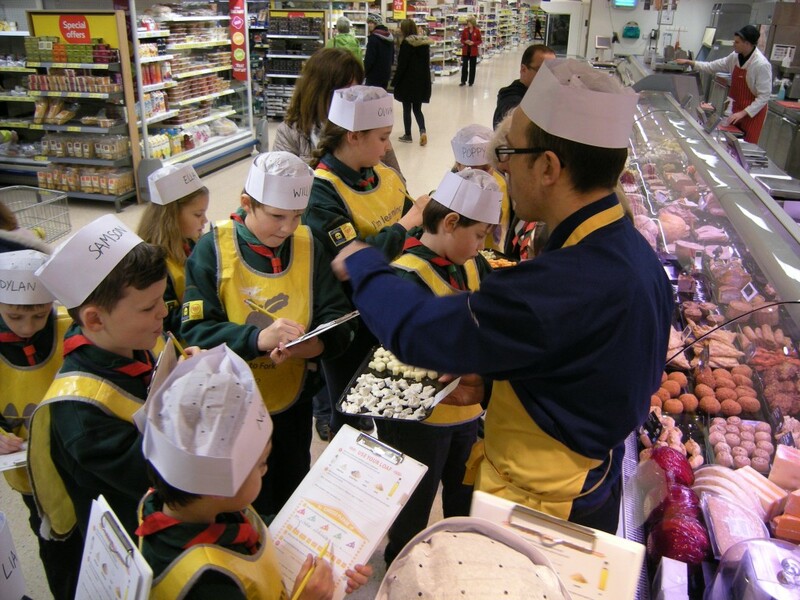 Cubs follow the Tesco ‘Farm to Fork’ trail and become the 1st Cub Pack to gain their special badges! 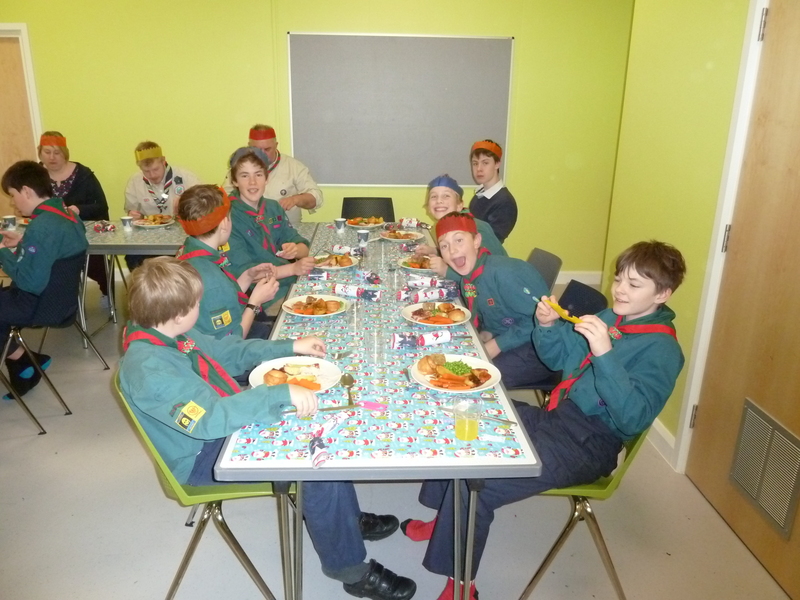 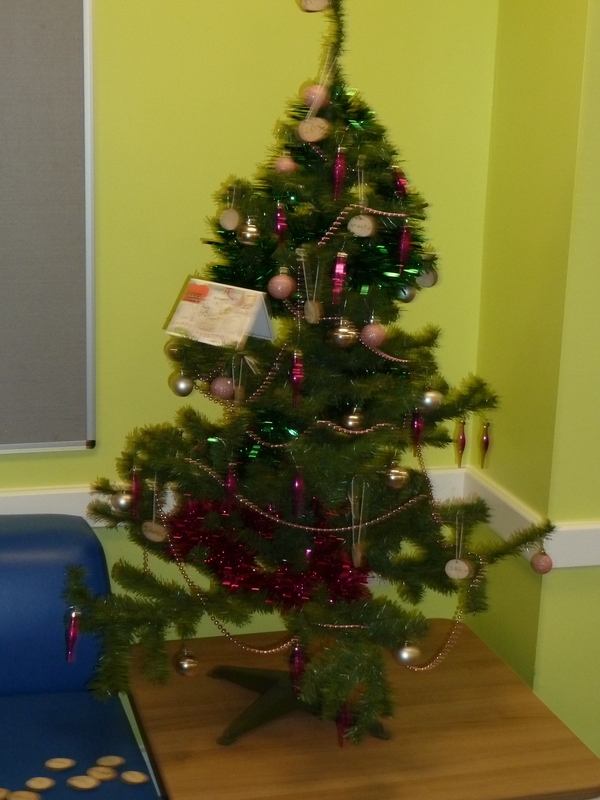 Twelve scouts, two young leaders, two leaders and a helper spent the weekend before Christmas staying at the Suffolk County Councils residential Centre on Ferry Road. On Friday evening they all went for a walk down to a very cold and windy beach where they played some games. 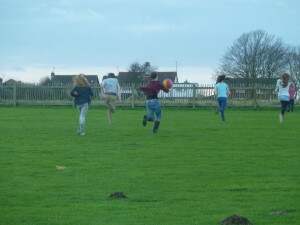 On Saturday, after a hearty breakfast, they set out on an activity / hike around the area organised by Anthony Gibson which they all thoroughly enjoyed even if it took longer than expected. Saturday evening they sat down to a Christmas dinner cooked by the leaders, followed by washing up and then Pictionary. Sunday they went for a short (bracing) walk to Felixstowe Ferry, followed by lunch and clearing up. 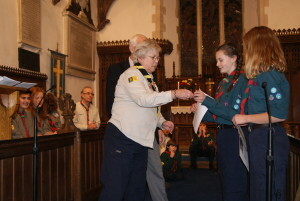 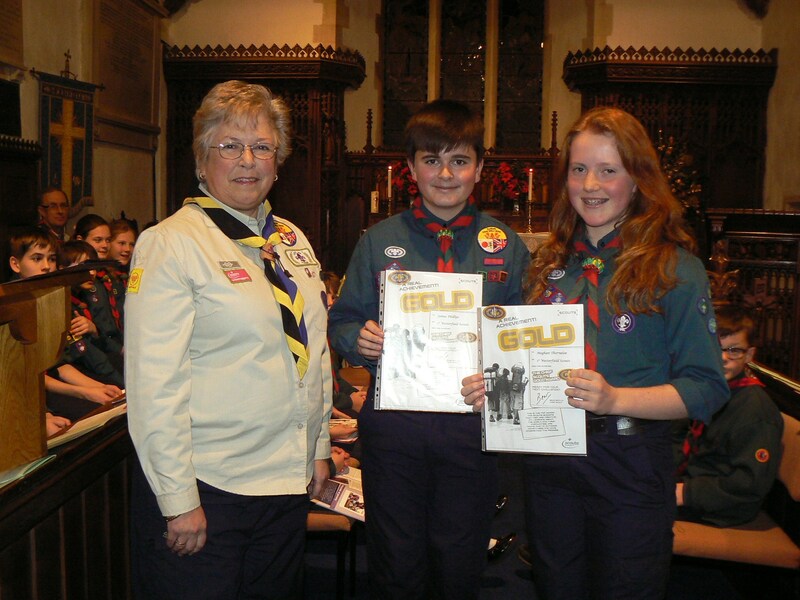 At the Groups annual carol service held at Westerfield Church on Tuesday 9th December Chief Scouts Awards were presented by Jayne Vaughn, the deputy District Commissioner. 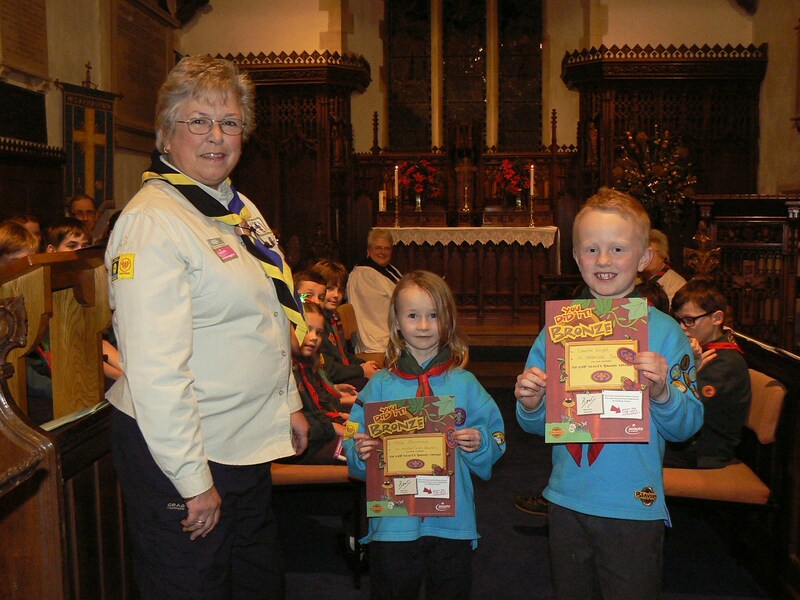 Two Beavers received their Bronze Award, one Cub his Silver Award and Two Scouts their Gold Award. Well done to all five.